Your Mum probably said this about all kinds of things when you were a kid, but it’s not a bad rule to live by. Now we’re all linked to the rest of the world online there’s an issue of security that affects every one of us, the minute you enter the world of the internet. Earlier this year a hacker hijacked 117 million LinkedIn email addresses and passwords and tried to sell them on the internet black market – known as Dark Web. Effectively, that means that whoever buys them can get into YOUR LinkedIn account. Recently Dropbox experienced a breach – and that meant that users accounts were at risk. Lots of people, especially businesses, use Dropbox to store ALL their data so they don’t have to pay for huge amounts of server space, so that’s quite worrying. Do you really want some mysterious stranger, almost certainly with nefarious intent, to have access to your company accounts, staff details, new product plans or marketing material? The latest victim has been Sage who only last month found the data for 280 businesses had been hacked. Given that Sage software manages accounts, payroll, credit control and bank transfers – that’s a pretty frightening breach of security. Has your data been hacked? If it hasn’t then you’ve been lucky – most people don’t have particularly good security. Even basic security on their personal computers is often out-of-date, but online it’s frequently almost transparent. Ensure you change your passwords frequently. 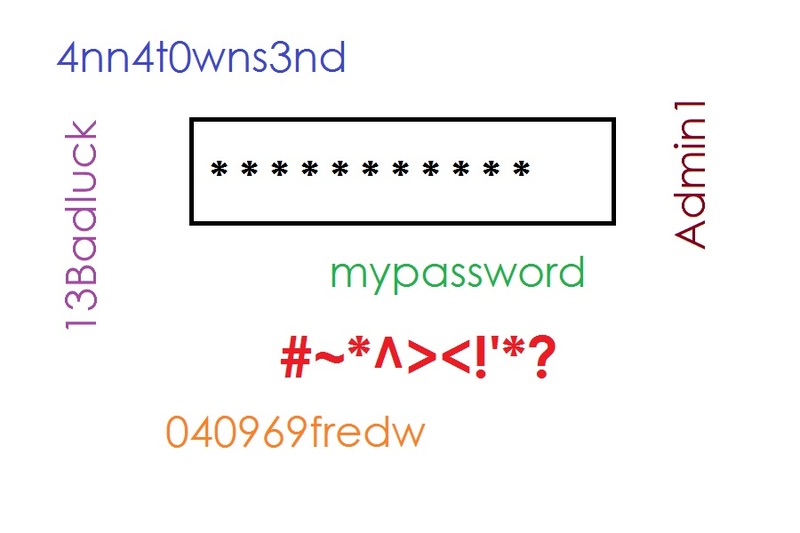 Use the characters that are not letters or numbers to make passwords more robust – symbols like ~ and ^ are harder for hackers to break. They can’t use the Rainbow tables (precomputed table for reversing hash functions) to divine passwords, as they tend to be focused around dictionary words and number replacements for letters zero for O, 4 for A, one for ‘L’ etc. Don’t think ‘it won’t happen to me’. Even if you think you don’t have much of value, some hackers work on the basis of a chain reaction. If lots of computers are taken over and all post an innocent request at the same time – e.g. ‘see index page’; it causes overload and the server has a nervous breakdown and stops doing its job. You know what it’s like when you can’t get online – the blood pressure rises rapidly! Do your risk assessment and think would it cause you a problem if your system, online or on your computer was hacked? Better safe than sorry!